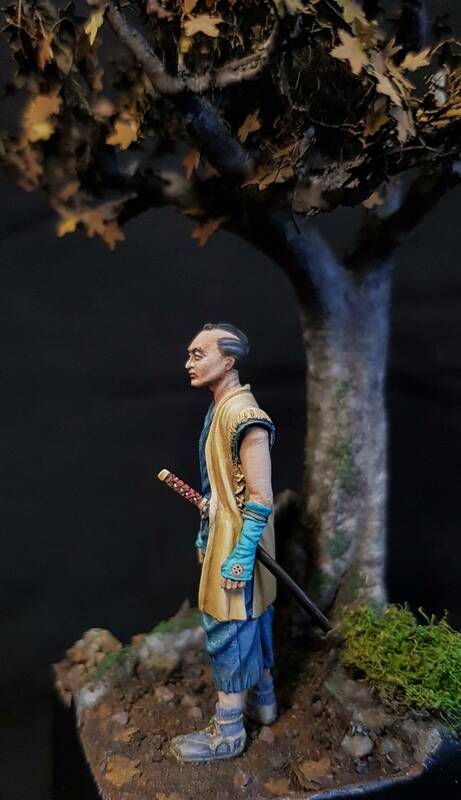 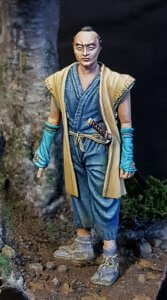 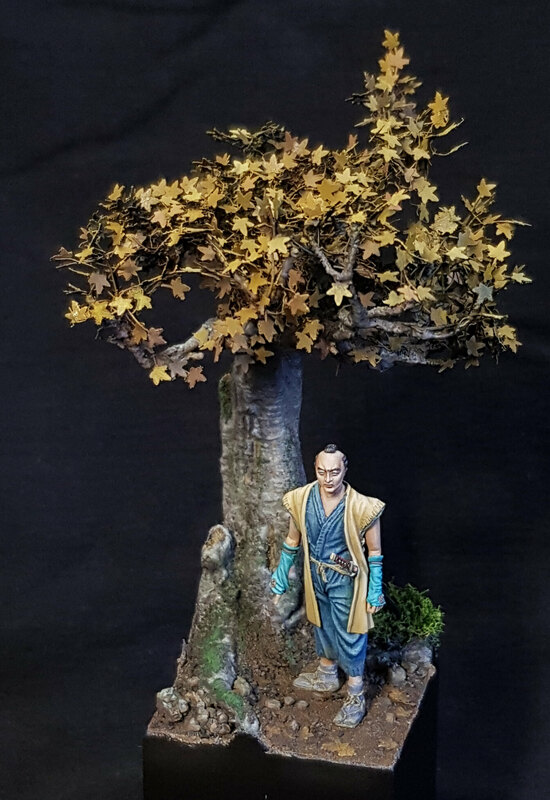 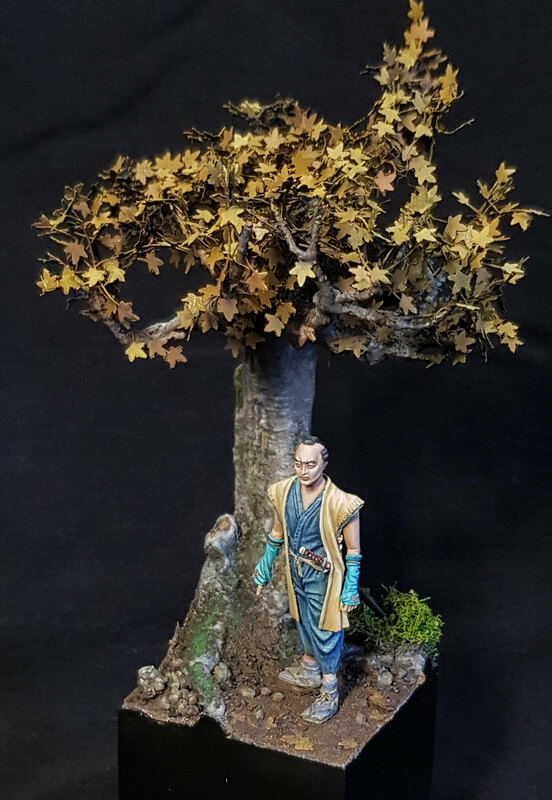 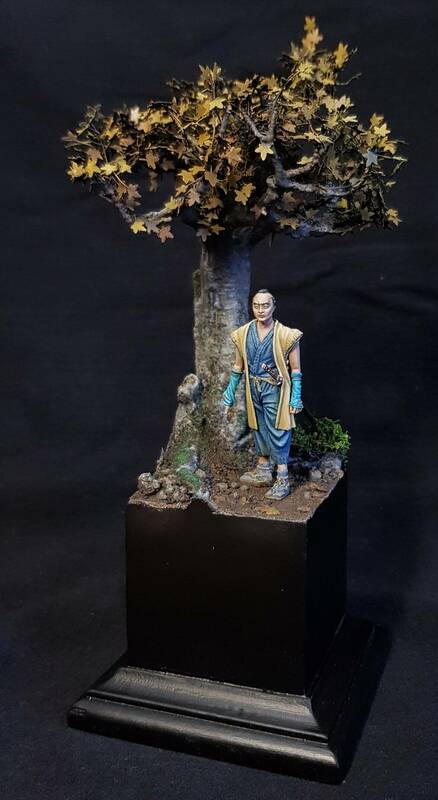 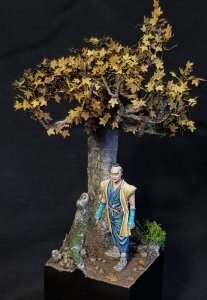 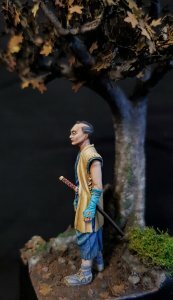 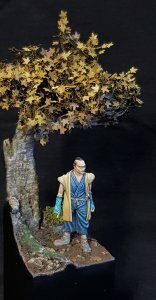 Our next release will be a Ronin like figure in Scale 54 mm. 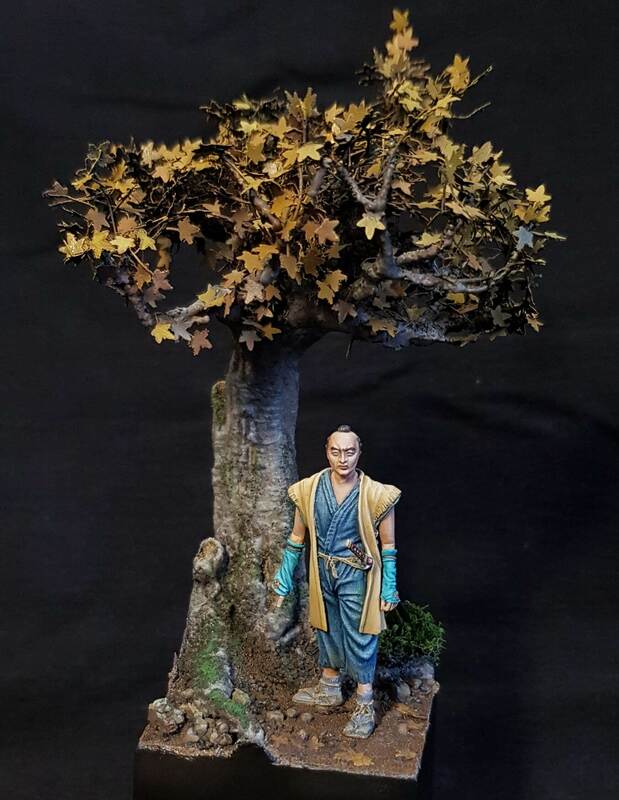 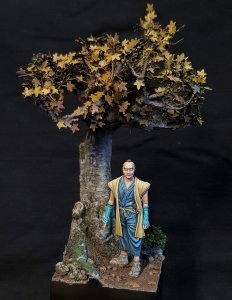 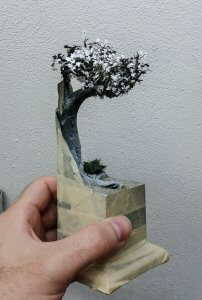 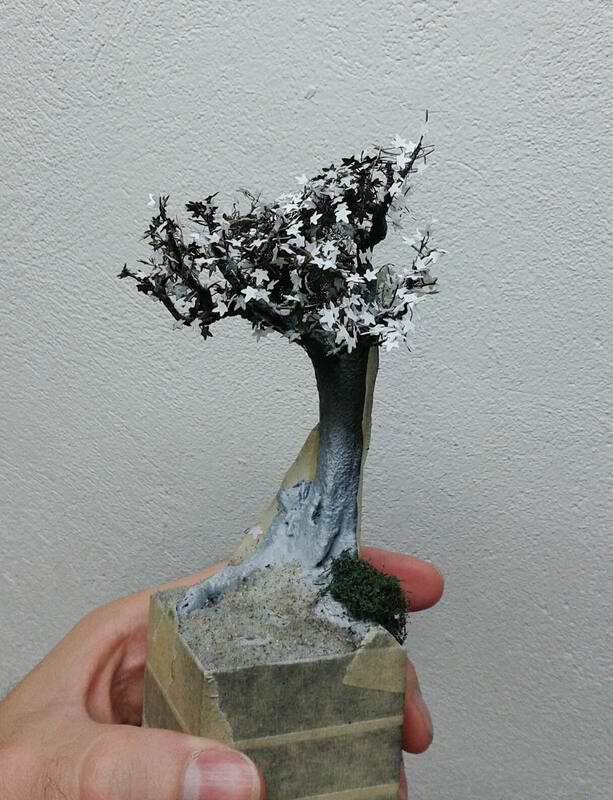 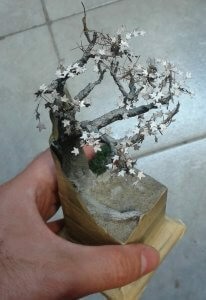 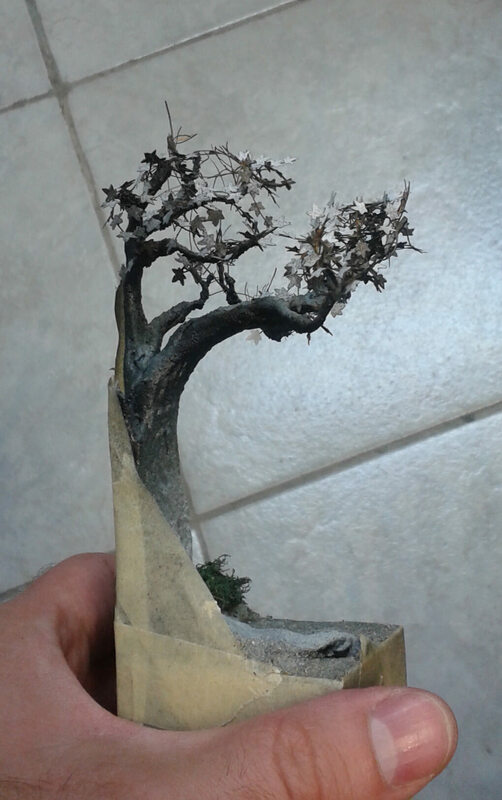 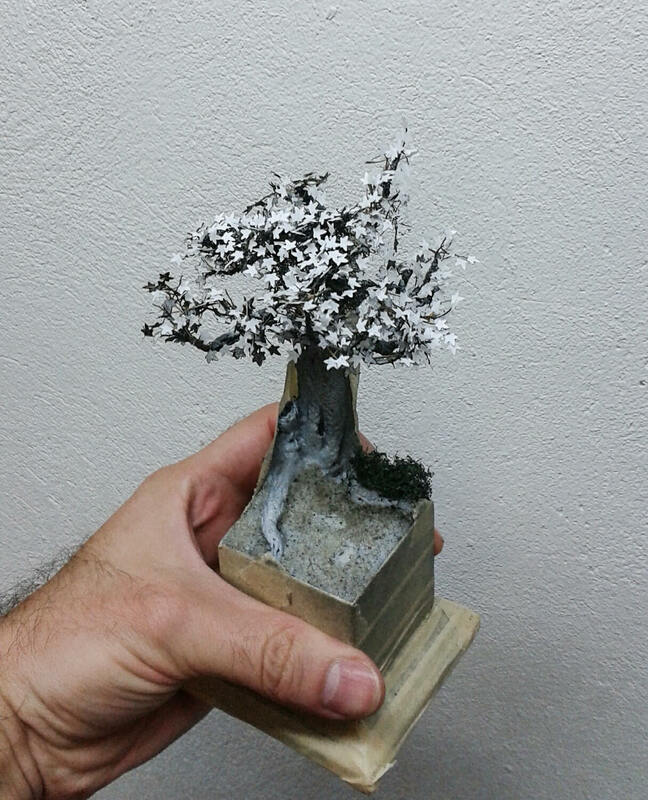 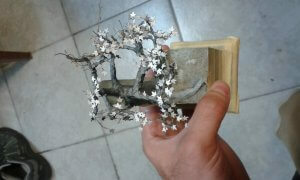 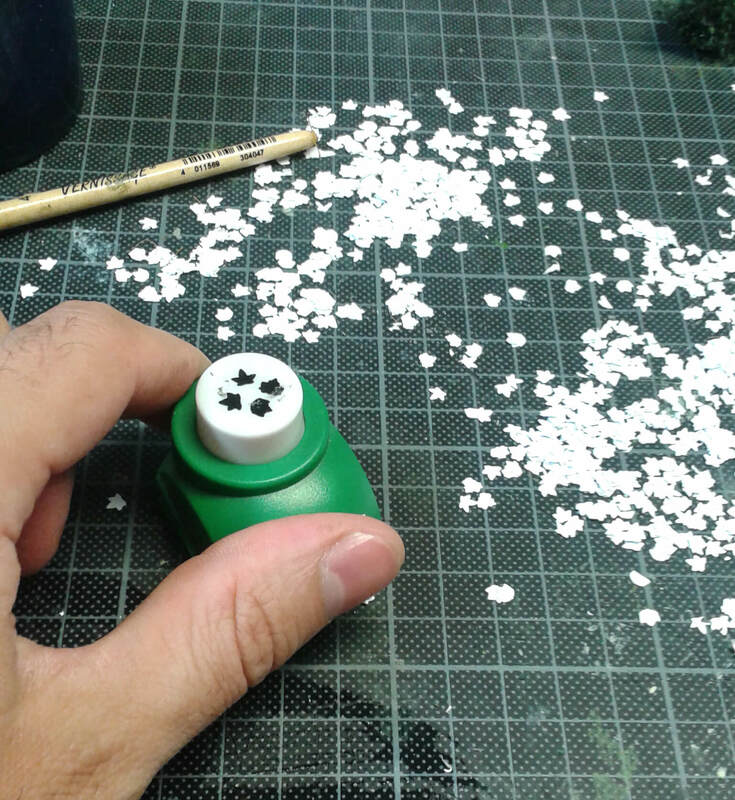 By painting and base building it was time to test a leaf puncher, a really smart tool to create more realistic trees. I chose a sycamore tree in its autumn form with yellowish leaves. 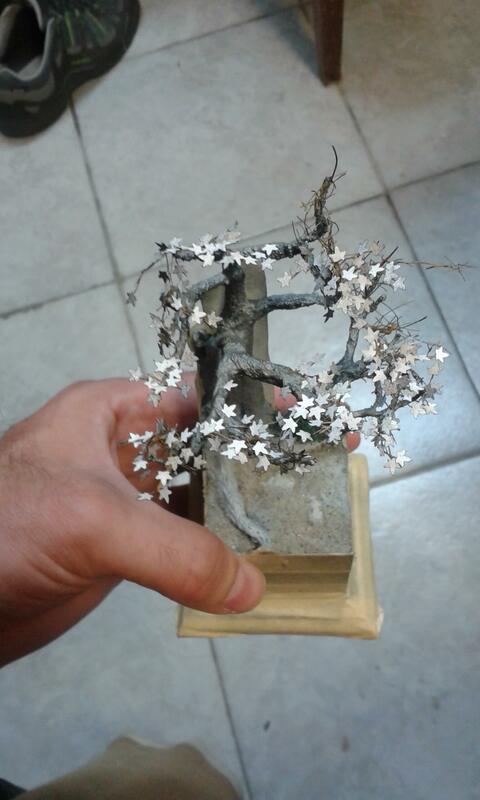 I built the wood from wire and milliput, but the hardest point was how to make realistic twigs? 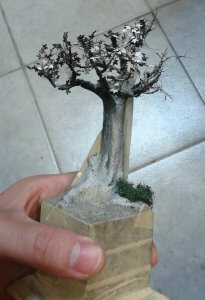 First I used dried grass, later stronger wadding. 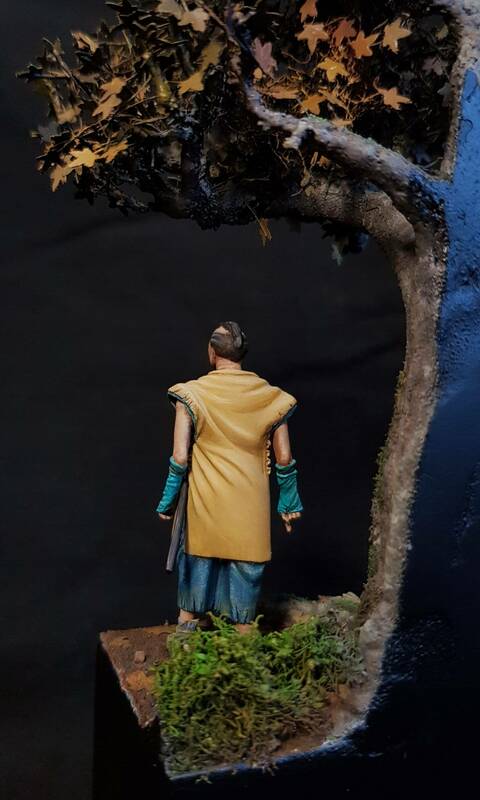 The grass wasn’t so good idea. 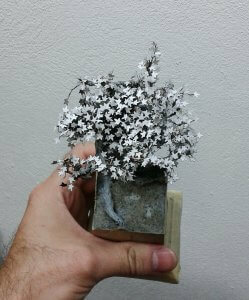 Next time I will look a thin dried plant with many branches and will add wadding at the end. For leaves the best material is the paper because it cans the glue drink in. After the building process the painting was very easy. 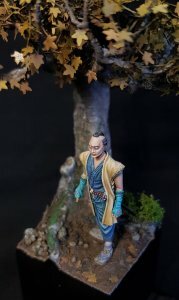 Airbrushed main colours and brush painted details, all with acrylics.